All right guys, you sort of know how this task goes. 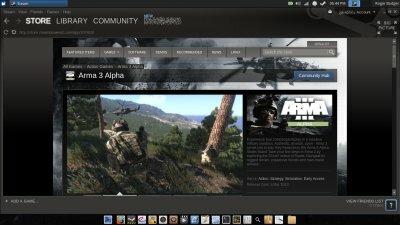 I have already shown you that in my Beta version review, as well as in the followup guide, which focused on the release of the official version of the Steam software for Linux. However, things are ever so slightly different this time around, and I would like to give you the most accurate, up-to-date instructions to how you can enjoy your games on Linux. While this tutorial is mostly applicable for Ubuntu and family, it should serve you well on other distributions, too. This is how we do it, do it. Launch the Ubuntu Software Center. Search for Steam. Do not try to use the command line, because you will not see the Steam package there. The reason is, in order to install the client software, you must be signed in with your Ubuntu One account. It will label the Steam platform as a purchase, but it's free, so worry not about any payments. The installation is now a two-step process. Once you complete the first part in the Ubuntu Software Center, you are not done. 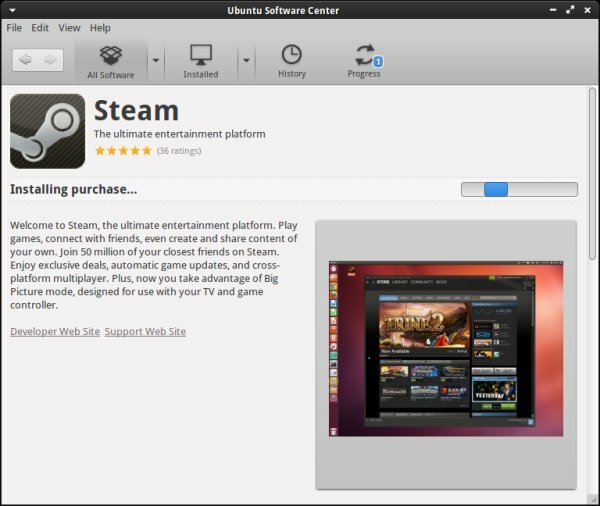 You will have to launch the client, and it will ask you to install additional software, namely missing 32-bit libraries, if you are using a 64-bit version of the Ubuntu family operating system. After the packages are installed, Steam will launch. It may self-update, too. Then, you're on familiar turf, with the login, authentication code and all the associated fun. But you will be doing just fine, there. Of course, having proper 3D drivers in place is a must too, but that's a different story altogether. If you're on a 64-bit machine, it will still most likely be missing. Luckily, I have given you two rather long and exhaustive guides explaining how you can obtain the 32-bit version of the Flash Player, so you can enjoy game videos, too. And we bring this tutorial to a sweet end. Most of you will probably figure out how to cope with the Steam client on your own, without my assistance. But while it's fairly simple, it's not trivial. 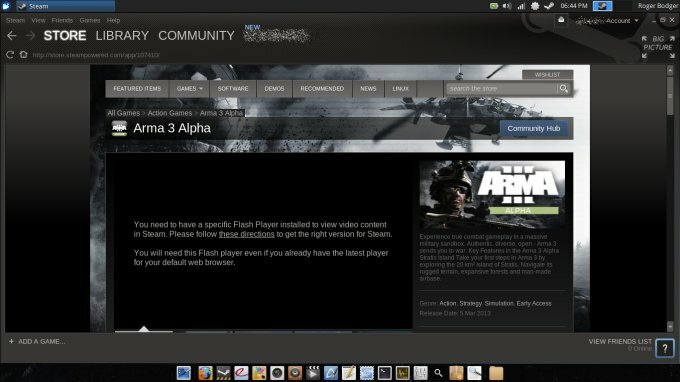 You have the two-step install, plus self updates, plus the niggle and doubt related to the Flash player, all of which could disturb a new user making their first steps with Linux gaming. We do not want that. We want their experience to be pleasant. I hope you liked this. Anyhow, if you need other tips or ideas, I'm listening.